Heron, the great inventor of Alexandria, described in detail what is thought to be the first working steam engine. He called it an aeolipile, or "wind ball". His design was a sealed caldron of water was placed over a heat source. As the water boiled, steam rose into the pipes and into the hollow sphere. The steam escaped from two bent outlet tubes on the ball, resulting in rotation of the ball. The principle he used in his design is similar to that of today's jet propulsion. 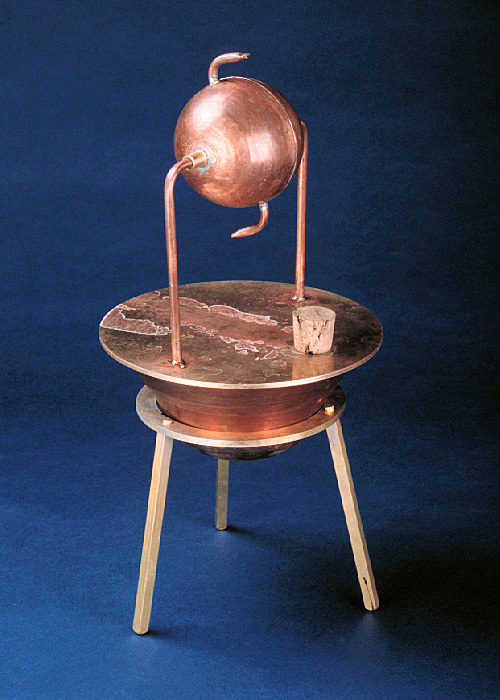 Heron did not consider this invention being useful for everyday applications: he considered his aeolipile invention as a novelty, a remarkable toy.